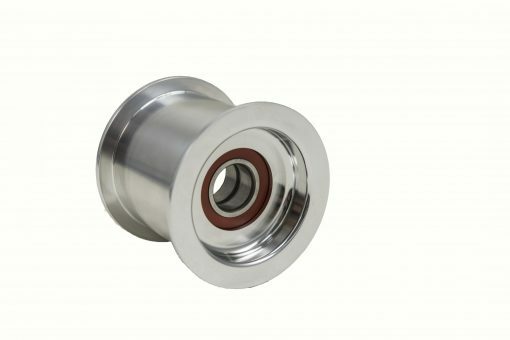 TBS Idler Pulleys are machined from 6061 billet aluminum and heat treated for outstanding durability and performance. 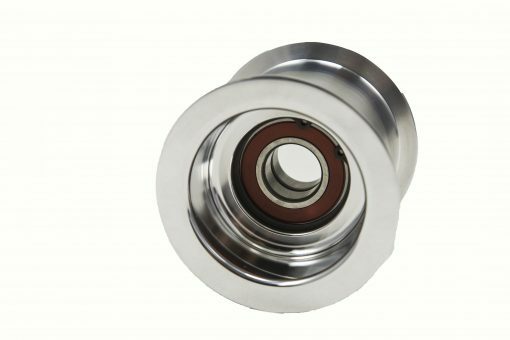 The 2 inch and 3-inch idler pulley utilize two, single row lubricated sealed ball bearings that are pressed into the idler housing. Polished to the same reflective characteristics as our Superchargers, all parts will reflect the top of craftsmanship. Each Idler Pulley features “dual offset reversibility” which allows the end user to turn the pulley around to adjust spacing by 1 inch. This means that if the blower snout length is changed, belt spacing will be a simple process. Available in three stand lengths for fitment with varying alignment. Machined raised edges to ensure straight tracking of the blower belt while in a rotation. 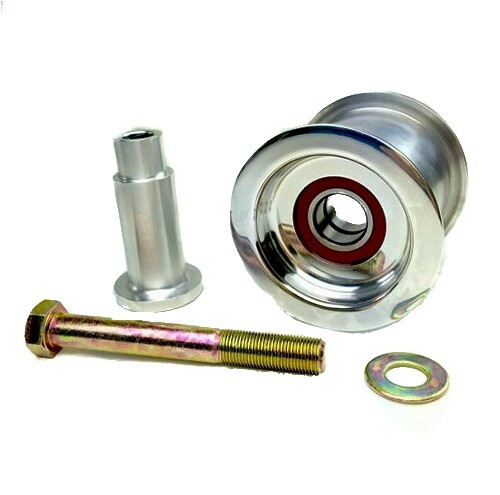 Each Idler pulley uses two bearings and Grade 8 hardware. Machined raised edges to ensure straight tracking of the blower belt while in rotation. For use on any 6-71 through 14-71 Supercharger with a 3 inch wide belt and a Swing Arm or Idler Bracket Assembly. 1 3/4", 1.55", 2 3/4"